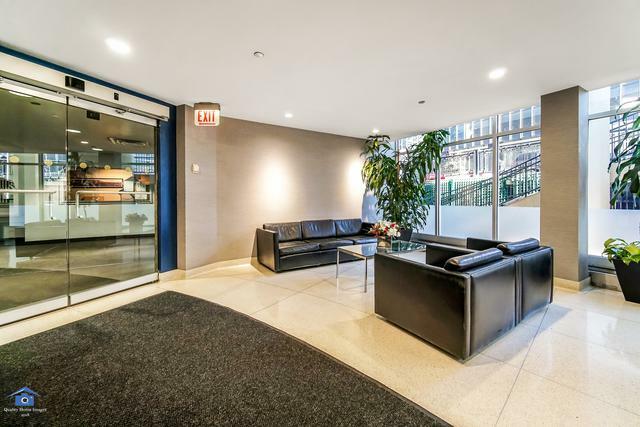 Highly upgraded studio in Chicago's iconic Marina Towers. The unit was completely renovated, with no detail overlooked! 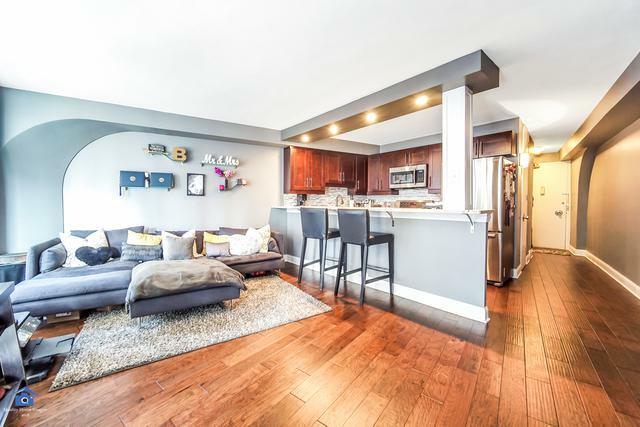 Newer hardwood flooring throughout, granite countertops and stainless steel appliances featured in the open kitchen. Well-appointed bathroom with granite countertops, slate, and beautiful glass tile. The unit was efficiently designed to maximize space and functionality. Custom Murphy bed included. Floor to ceiling windows allowing an abundance of natural light and capturing some of Chicago's most famous views. 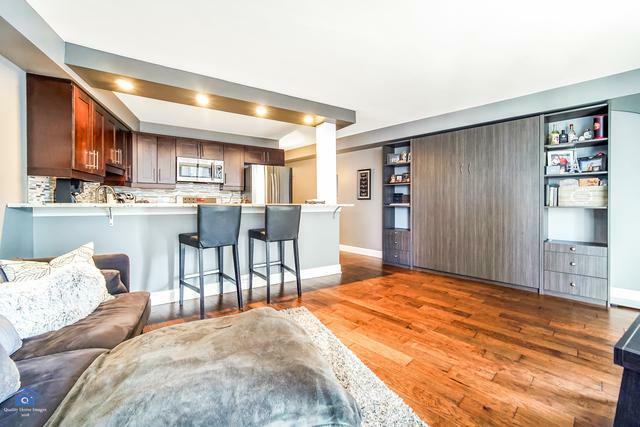 The condo also features a large private balcony. 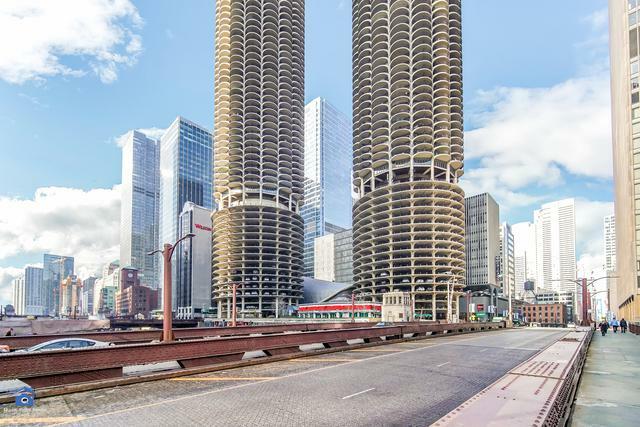 The building is centrally located in the heart of Chicago including easy access to public transportation/expressways, nightlife, restaurants, shopping, Michigan Ave, Theatre District, and the River Walk directly at your doorstep. Marina Towers features 24 hour door staff, Fitness center, common laundry room, common rooftop, on-site management, grocery store located within the building. Investor Friendly Building. Listing provided courtesy of Magellan Realty Llc. © 2019 Midwest Real Estate Data LLC. All rights reserved. IDX information is provided exclusively for consumers' personal, non-commercial use and may not be used for any purpose other than to identify prospective properties consumers may be interested in purchasing. Information is deemed reliable but is not guaranteed accurate by the MLS or Angela Walker Homes Real Estate Group. The data relating to real estate for sale on this website comes in part from the Broker Reciprocity program of Midwest Real Estate Data LLC. Real Estate listings held by brokerage firms other than Angela Walker Homes Real Estate Group are marked with the Broker Reciprocity logo or the Broker Reciprocity thumbnail logo (a little black house) and detailed information about them includes the names of the listing broker. Some properties which appear for sale on this website may subsequently have sold and may no longer be available. NOTICE: Many homes contain recording devices, and buyers should be aware they may be recorded during a showing. Data last updated: 2019-04-18T16:53:36.423.